For Commercial & Industrial Businesses. Ecotile is a UK made industrial flooring solution that can be fitted without causing disruption to your business; a cost effective and low maintenance interlocking tile that can solve several business challenges all at once. We are able to supply and fit floor tiles quickly and efficiently thanks to our incredibly short lead times, quick delivery and 5 star customer service. Unlike epoxy resin, floor paint and traditional industrial flooring, our interlocking PVC tiles can be fitted extremely easily over any hard surface without the need for specialist tools or adhesives. Cracking, brittle and damaged resin flooring, paint delamination, dust, dirt and damp problems are all eliminated with this simple flooring solution. Minimal preparation to the existing floor is required and there are no curing or drying times; just lay the tiles while your business continues to operate around you. 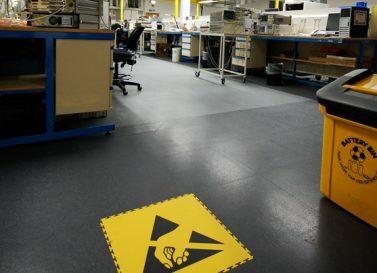 Ecotile offer a one stop approach to specification, design and installation so that you receive a trouble free and simple solution to any industrial flooring problems you may face. We are the only interlocking floor tile manufacturer that holds the full complement of quality accreditations and certifications. 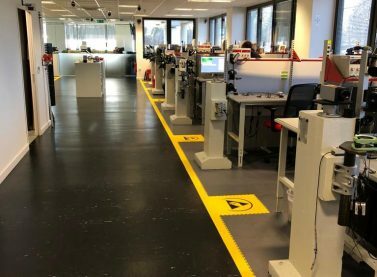 Forward thinking clients including BMW, Royal Mail & Rolls Royce are choosing Ecotile industrial flooring to help create more efficient working environments for their employees and smart, low maintenance areas for their customers. Our factory in Bedfordshire works 24/7 to replenish stock quickly, meet customer deadlines and outpace competitors with faster, more efficient output. In parallel, our customer service team work closely with our delivery partners so that you can receive your order in the shortest possible time. Ecotile Flooring are proud to fly the flag for British industry and are the only interlocking floor tile manufacturer that holds the full complement of quality accreditations and certifications. 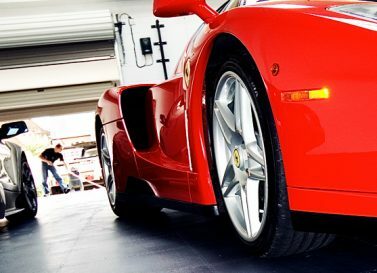 We love to work with customers who value the highest levels of service, quality, and technical expertise. Ecotile can be laid over damaged, damp, uneven and contaminated floors with minimal preparation to the substrate. There are no curing or drying times; just lay the tiles while your business continues to operate around you. The loose lay interlocking system means Ecotile can be installed with very little downtime and if a tile is damaged it can be lifted and replaced in minutes. Throw in the 10 year guarantee and it all adds up to a floor that offers excellent value for money! The beauty of the interlocking tile system is that it is possible to create a small temporary point of sale area or a large manufacturing area with demarcated walkways and production zones that can be altered when required. In addition to innovation that maximises recycled material and reduces the energy used to manufacture Ecotile we operate a scheme where we will buy back old Ecotile floors and regrind them to generate the next generation of tiles. Our Managing Director Michael Ollivere has instilled his methodical and systematic approach to manufacturing in to every area of the business. Ecotile genuinely cares about customer service and we always go the extra mile to make sure we deliver on our promises. In 2016 we celebrated our 20th anniversary so when you buy Ecotile you have complete peace of mind about the longevity of our tiles and that our superb customer service team will be there to help when it is finally time to trade in your old Ecotile floor for a new one. The Lifestyle range has been designed to conquer the challenges of the great outdoors. 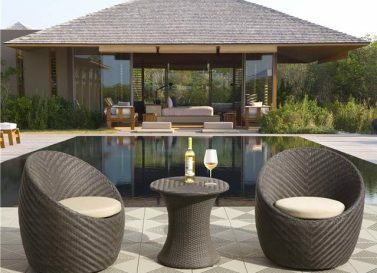 Lifestyle tiles are manufactured with polypropylene; a 100% recyclable thermoplastic polymer that has been UV stabilized. 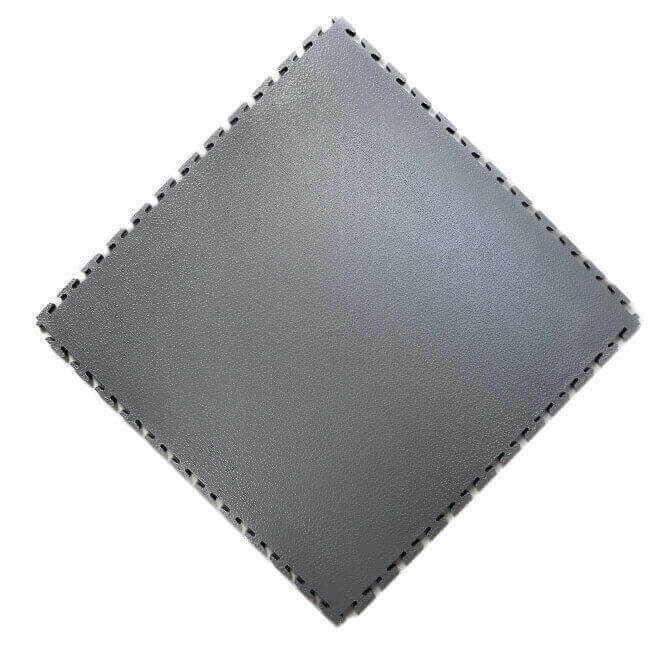 This material can withstand high temperatures, not affected by heavy sunlight or any other weather. The polymers properties makes these tiles non-staining, meaning no foot or tire marks. The holes in the tiles not only help the floor to stay cool in high temperatures, but allow water and chemicals to flow under the tiles channels and drain away. 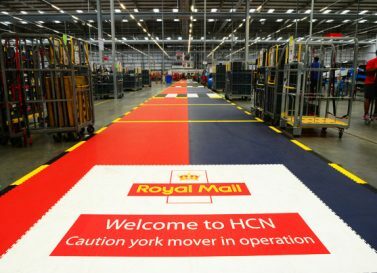 Unlike most industrial flooring, Ecotile floors can be branded with company colour schemes and logos. We also provide bespoke designs to allow for colour coded walkways and zonal markings. They are often used to improve workforce safety and have been used by Rolls-Royce amongst others for this very purpose. 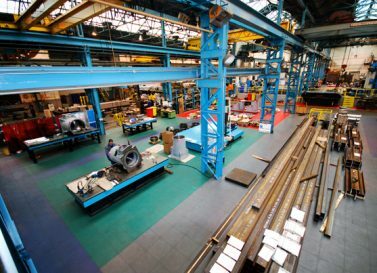 All of our industrial flooring solutions are designed to be installed in tough working environments. HGVs, fork-lift trucks and heavy machinery can operate with confidence as our tiles are more than capable of dealing with continuous heavy duty usage. Available in a variety of different surface textures and a wide range of colours, the tiles can be purchased in a traditional open joint design (ideal for industrial flooring) or a smart hidden joint design (light duty). 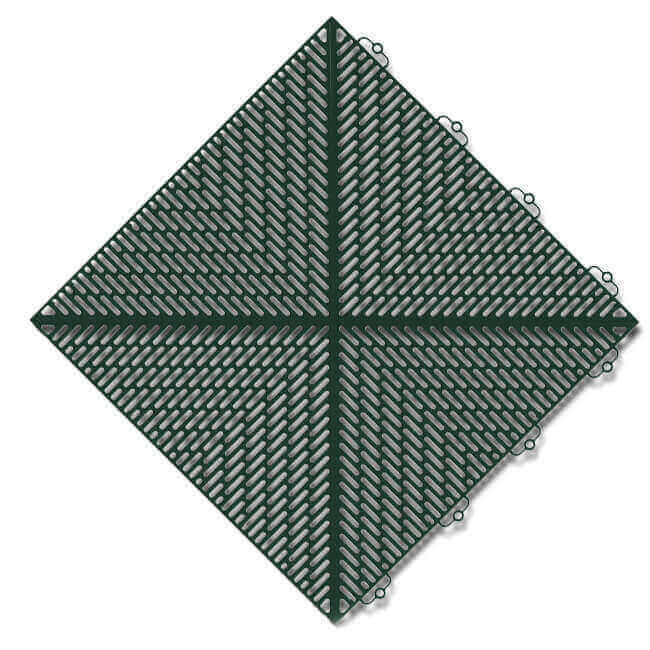 We also manufacture specialist ESD (electro-static dissipative) tiles. These are made with stainless steel fibres that collect and transport electrostatic energy via a conductive grid safely into the earth. It creates a much safer working environment and is an essential safety component for anyone working with combustible materials or sensitive electronic components. Ecotile is one of the only industrial flooring products that is made using REACH compliant PVC pellets. The raw material we use has exceptional wear characteristics, chemical resistance, long term stability and stable electrical properties. The durability of our tiles are second to none and are suitable for use by fork-lift trucks, pallet trucks, HGV’s, cars and high volume pedestrian traffic. 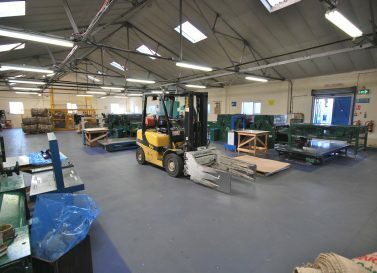 Ecotile flooring solutions have a proven track record in busy facilities including factories, warehouses, computer server rooms, retail outlets, schools, colleges, commercial garages, workshops and public leisure buildings. 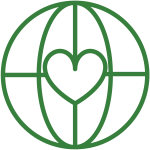 With over 400 Trustpilot reviews, Ecotile is trusted by companies far and wide. We manufacture our tiles in the UK using the highest quality raw materials. Our interlocking system means there is no need for environmentally damaging glues, screeds or latex. The tiles are 100% recyclable with a projected lifespan of 20 years. Once they reach the end of their life cycle we will remove them free of charge, and recycle them to create the next generation of Ecotile. 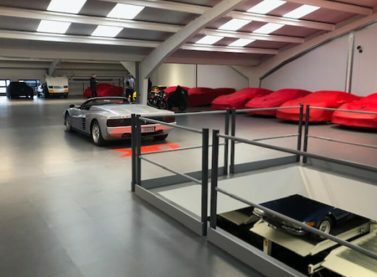 We have been extremely happy with our Ecotiles, they are very hardwearing and durable and have provided us with a safe low maintenance floor for many years. Our products can be sensitive to dust and Ecotile eliminated that problem for us. When the time comes we expect to sell back our old tiles to Ecotile to offset the cost of a new floor from them.